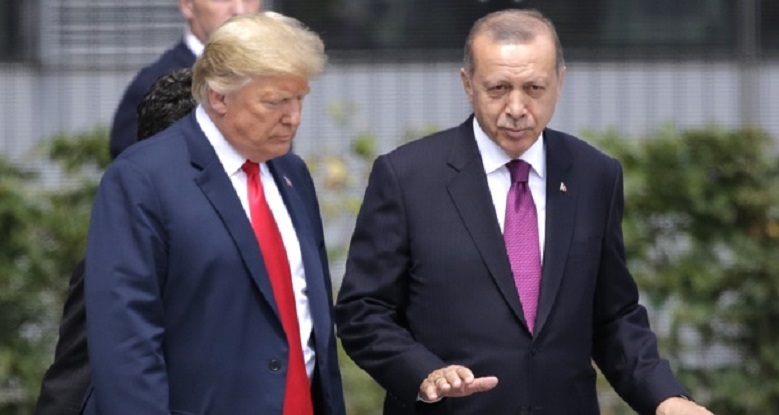 Turkish President Recep Tayyip Erdogan on Friday warned US President Donald Trump's pledge to recognise Israel's disputed annexation of the Golan Heights would risk a "new crisis". "Yesterday US President Trump's unfortunate statement about the Golan Heights brings the region to the edge of a new crisis," Erdogan told an emergency meeting of the Organisation of Islamic Cooperation (OIC) in Istanbul. Erdogan said the OIC would not "remain silent to such a sensitive issue like this". Trump on Thursday said the United States should acknowledge Israeli sovereignty over the Golan Heights, seized from Syria in 1967. About 20,000 Israeli settlers live in the Golan, which overlooks Syrian territory. The annexing of the area has never been recognised by the international community. But Damascus on Friday said the pledge ignored international law. Relations between Israel and Turkey have been tense. Erdogan, who regards himself as a champion of the Palestinian cause, recently traded barbs with Netanyahu ahead of critical polls for both leaders. Turkey will vote in local elections on March 31. Trump's latest move comes after he recognised Jerusalem as the capital of Israel and moved the US embassy there last year, which Erdogan strongly condemned.